The stylus tip is brilliant. It is large, rubbery, and very responsive on capacitive touch interfaces. This in contrast to the many similar devices that utilize cheap foam, sticky latex-like, or highly vulcanized tractor tires for their tips. 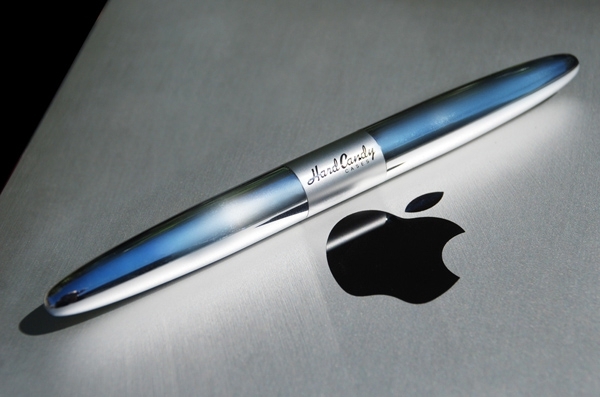 The iPad Stylus tip allows delicate and precise input, even with very small text and buttons. It truly is a delight to use. Oh, and it doesn't leave greasy cheese-pizza-smears all over the screen like my other stylus does...my finger. And that alone is brilliant! Every coin has two sides, the yin - it's yang, and this stylus is no different. 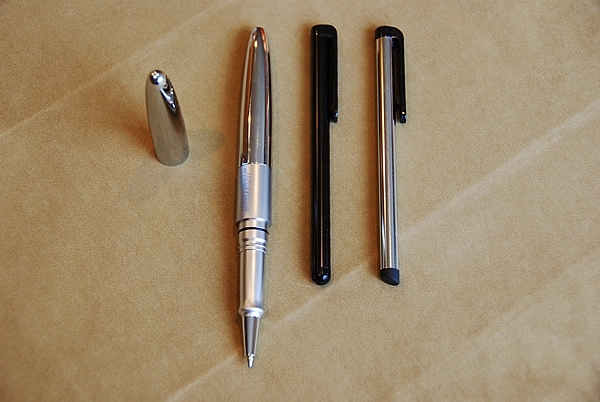 On one side is the touch screen stylus point, and on the other, in stark contrast to it's electronic counterpart, a writing instrument; or as some say, a pen. 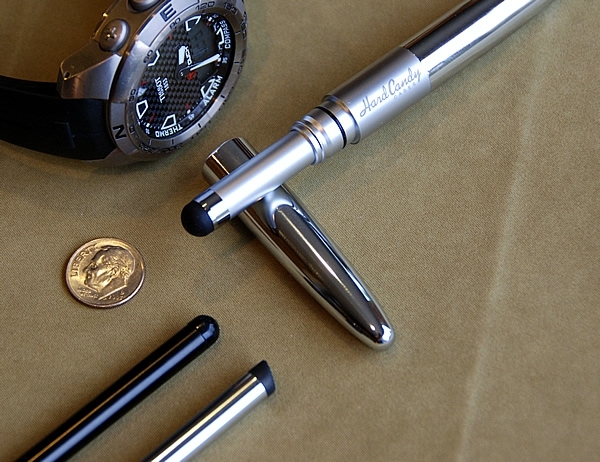 Cross, Sensa, Rotring, and dare I say the mighty Montblanc Meisterstuck have nothing on this pen. It has a fine point, and glides effortlessly across the page leaving no hint of hiccup or the common fading of the standard ballpoint. How do I know? I actually wrote this review on a piece of paper before posting it here! Yes I am that crazy, and the pen is straight up that good.